Have you heard of Tai Chi? Tai Chi is a martial art pracied orginated from China. It is not only known for defense but health benefits as well. Tai Chi is often referred to as medication in motion. It is known to prevent several health problems. The exercises involve slow motion exercises. You have to take a deep breath and meditate while doing the exercise. The good thing about this exercise is that it is not forced. Your muscles should also be relaxed and not tensed. The exercise is suitable for people of all ages. Here are the benefits of Tai Chi. Given that Tai Chi movements are slow it helps you have balance and reduce your chances of falling. Additionally, the exercises improve your flexibility and muscle strength. When you fear falling there is a high chance that you will fall. Doing the exercise helps you reduce your fear of falling. Therefore, you can maintain your balance at all times and get rid of any fear of falling whenever you are exercising. Nowadays, people live a stressed life without even realizing it. Stress is part of life that we have to live with, especially when many of us now live in a digital world. By taking the slow movements in tai chi, you can forget some of the life’s stresses that you are faced with. Furthermore, the breathing helps with hand and eye coordination to make you feel calm. Your stress can lead to illnesses such as ulcers and you need to reduce stress levels. Tai chi is a sure way to improve your flexibility. It does this since it helps improve the upper and lower body coordination. Not only does the exercise increase your flexibility but it also improves your strength as well. When you are flexible, you can move fast and accomplish several things at once. When doing the exercises, one of the things that you have to do is focus on your breathing. Such deep breathing helps your respiratory system. As such, it treats emphysema, asthma, and bronchitis. The exercise enables you to reduce any respiratory problems that you may have. You can easily improve your hand eye coordination by taking tai chi exercises. The exercise also allows you to coordinate your lower and upper body thanks to the slow rhythmic movements. When you have improved coordination, you can do a lot of things with ease. 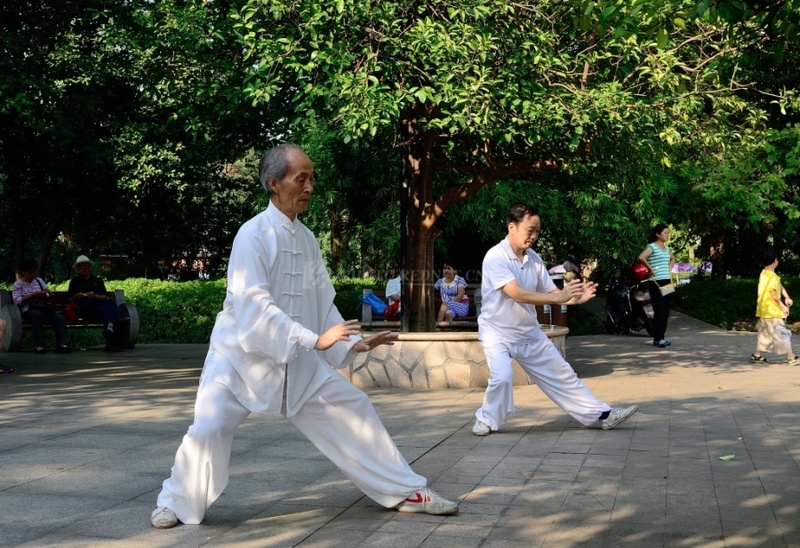 If you are suffering from chronic illnesses, then you should think about taking part in Tai Chi. It can help you treat illnesses like arthritis, heart disease, digestive disorders, blood pressure and depression among others. Chronic illness can really reduce your production at work. Therefore, you should improve your health to ensure that you perform to the best of your ability. There is no doubt that there are tons of benefits that you enjoy when you start practicing Tai Chi. It is a guaranteed way to improve your health without spending a lot of money. Your health is important and you have to make sure that you take good care of it. The only way you can do so is by eating right and doing exercises.